Holocaust Memorial Day (HMD) takes place annually on the 27th January and this year the day will also commemorate the 65th anniversary of the liberation of Auschwitz-Birkenau - the largest Nazi concentration camp. 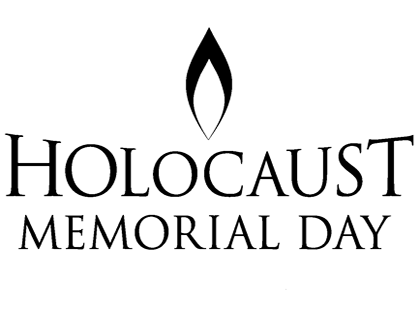 HMD is the day we remember the victims and honour the survivors of the Holocaust and Nazi persecution and those from subsequent genocides in Cambodia, Rwanda, Bosnia and during the ongoing atrocities in Darfur. HMD 2010 offers an opportunity to listen to the voices from the Holocaust and Nazi persecution and to make the lessons of hope for a safer, inclusive society where the differences between us are respected a reality today and in the future. Holocaust survivors have played an immense role in bringing our attention to the lessons of the Holocaust. They speak of pain and loss, of strength and survival, of despair and their wish for a Legacy of Hope. They encourage us to look within and without, to be sure of our moral compass, to be certain of our choices and to use our voice, whenever we can, to speak out. They have translated difficult experiences to create a future that is free from the dangers of exclusion and persecution. They have passed a message of resilience and hope to the next generation. One simple way to become part of The Legacy of Hope is to light the virtual candle on the Holocaust Memorial Day Trust website www.hmd.org.uk and join hundreds of thousands of others throughout the UK in pledging to create a safer, better future for us all.